The Ways of the Wayments: Twilight movie! 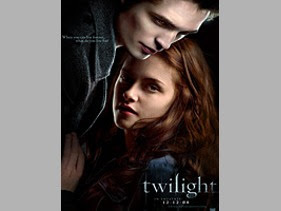 I am SO incredibly excited for the Twilight movie to come out (December!Whooo hoo)! Any other fans out there? Check out the videos on MTV's website! Awesome. Oh, I keep up on all the latest previews and whatnot. I can't wait!! Maybe we can go together- I'm not sure Josh would take me. Yes!!! I'm way excited for it too!! !